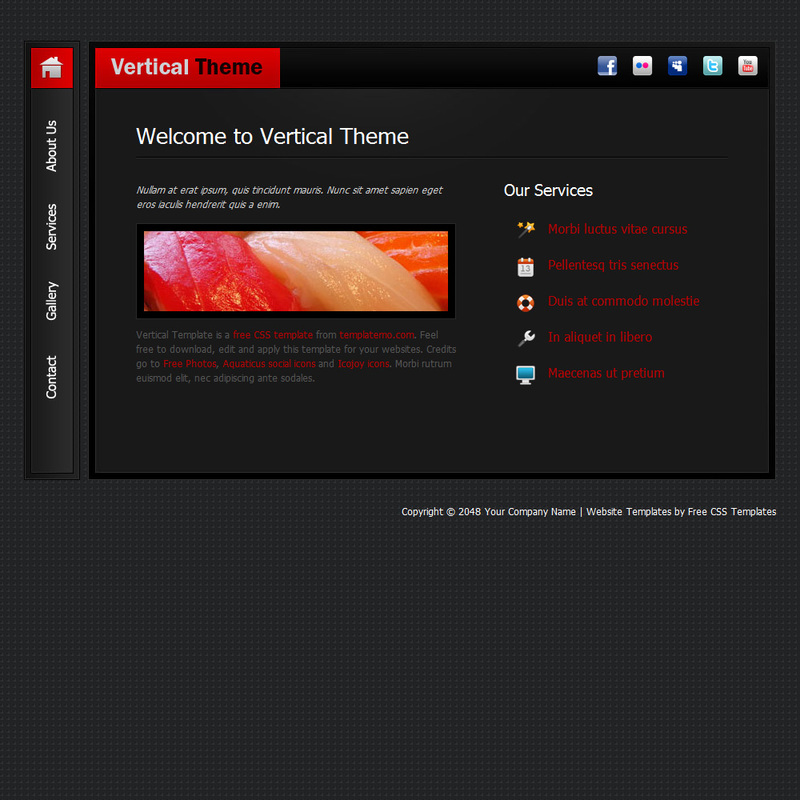 Vertical Theme is one-page mini template with vertical sliding pages. 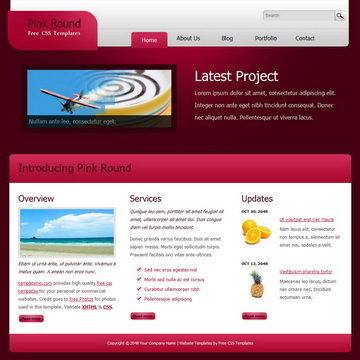 The layout is designed by black and red colors. 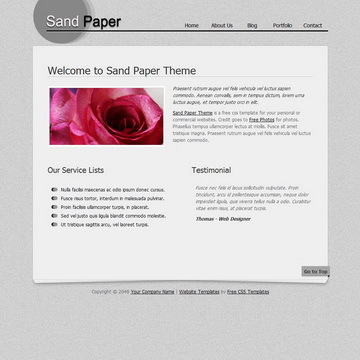 Sand Paper is a clean, neat, and professional one-page layout. All page sections are linked within one long vertical page. 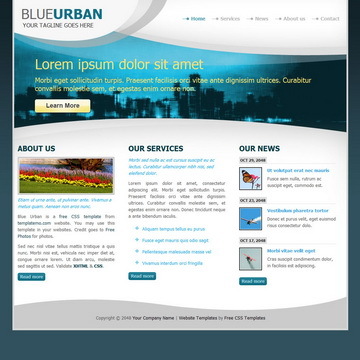 Blue Urban is designed by simple curves at header and footer. Homepage is a 3-column style and other pages are 2-column pages. 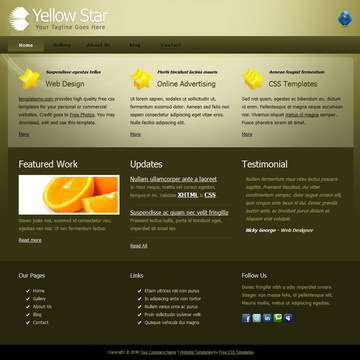 Yellow Star is designed by golden color gradients. Some pages are organized into 3-column style and some are in 2-column style. Vertical Template is licensed under Creative Commons. Permissions beyond the scope of this license is available here. You are allowed to download, edit and use this Vertical HTML CSS layout for your commercial or non-commercial sites. Please share Vertical Template to your friends. Thank you.